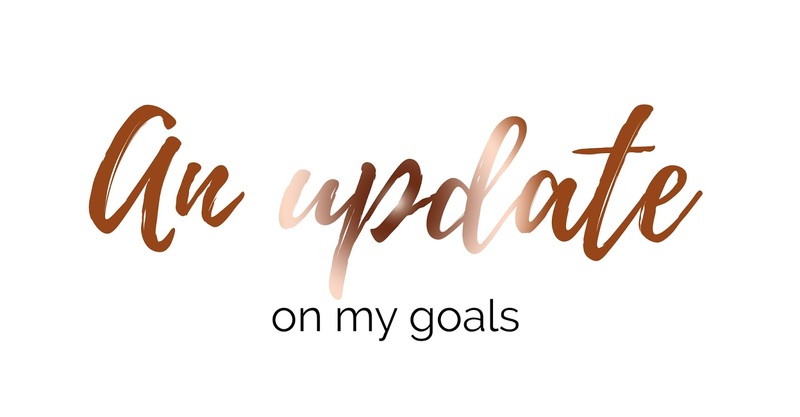 Although we're not quite through half of the year, I decided it was time to do an update on my goals which I shared with you back in January; you can find them here. I set myself quite a few goals for my general life, but also for my blogging life and it's crazy to say I have already achieved a fair few of them already and that's why I'm doing this post; because it's amazing to share our achievements. One of my first goals was to blog everyday, now unfortunately I haven't blogged everyday; I did take a three day break in April due to bloggers block really hitting it's peak and I had to have that break, but I do feel that is completely acceptable as I'm now more motivated than I have ever been before. But other than that, I have indeed blogged every single day since September 2016. I also wanted to hit 1,500 followers on my instagram account. The mad thing is; I have acheived this goal and I never ever thought I would. At this stage I have also created two more instagram accounts and one of them is currently on 200 followers and the other has just hit 100 after only having it for one day; I cannot explain how proud I am. 100 followers isn't a lot, but it's an achievement in a day. As of yet, I haven't achieved my other goals; I want to hit 10k followers on instagram (I've recently hit 6.5k) and my Bloglovin goal was 750, but I'm currently just under 600. Something I'm really struggling to grow is my instagram account so I may have to start a facebook follow feed on a weekly or even daily basis to help myself and other people grow their facebook pages; if you'd be interested in this then please do let me know. My goal for all time blog views was 150,000 by the end of the year and in April I hit 100,000. This was the most surreal moment ever, I was gobsmacked and a little bit chuffed. Let's just say I was very excited about this as I never thought I'd even get past 10,000. Now I know, numbers don't matter in the long run; but when you're building a community for yourself, they do matter. The amount of support I get is absolutely incredible. If I'm stuck with anything, I know one of you will help me out and even if I'm feeling down and stressed, there will always be one of my "followers" who asks if I'm okay and offers to talk to me about whatever is wrong. So if you're reading this and moaning about how numbers don't matter, they do; when you have the love and support from every single person who follows you; it is completely and utterly worth it when you always thought you were alone. Have a lovely weekend and let me know what you're getting up too!